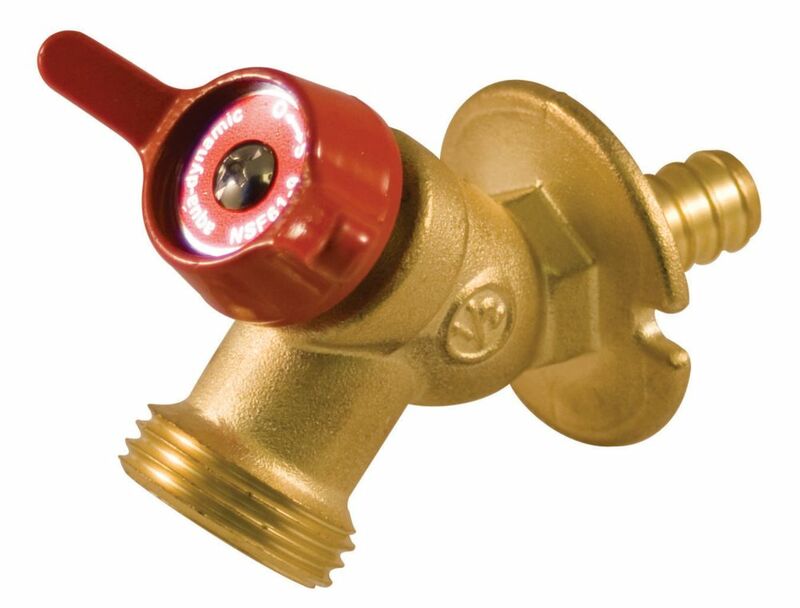 The AquaDynamic 1/2 inch PEX sillcock valve is generally used as an outside faucet. To be installed using black copper crimp rings on "PEX" plastic pipe systems only. SharkBite PEX is a cross-linked polyethylene tubing best suited for potable water supply application. PEX Pipe is durable, flexible and corrosion resistant. SharkBite PEX features a repeating SharkBite imprint pattern that provides a visual aid to help you determine whether the tube has been fully inserted when using the SharkBite push-fit fitting range. In addition to Potable Water Supply SharkBite PEX meets UL Standard for Plastic Piping in Fire Systems. Sillcock PEX Quarter Turn 1/2 Inch The AquaDynamic 1/2 inch PEX sillcock valve is generally used as an outside faucet. Sillcock PEX Quarter Turn 1/2 Inch is rated 1.0 out of 5 by 2. Rated 1 out of 5 by Ryan from Absolute junk! I bought 2 of these during a complete laundry room renovation, installed them and less than 2 months later, one started leaking from the shaft seal. 4 months after that, the other one cracked right through the brass body and flooded the entire laundry room that was renovated 6 months earlier. Not impressed! Home Depot said that there is no warranty on this item, too bad for me!